1But Isn't It the Photographer? If you’re active in discussions about photography, you may have noticed that a lot of the discussion tends to revolve around which camera is best or what lens resolves the most detail or has the nicest bokeh, etc. These constant gear discussions can be very helpful, but often they devolve into evaluation of minute differences and are often discussed as if that small edge in sharpness or that half stop of dynamic range, or that slightly cleaner ISO is the difference between getting great images and producing garbage. And that’s predominantly bunk. What is far more important to getting the most out of your photography is not having the absolute best gear, but having the gear that is right for how you shoot. Is it All About the Gear? But Isn’t It the Photographer? Why talk about gear when you’ve also heard that great photos has everything to do with the photographer and nothing to do with the gear. I’m sure many of you (if not most) have had someone look at a great photo of yours and say something along the lines of “Wow…amazing photograph! You must have a great camera!” It’s a frustrating thing to hear, as it diminishes the skill involved in creating the photograph. And of course, a great photographer will make great images with whatever camera you put in front of them. Likewise, a poor photographer can have the best gear on earth and produce nothing but garbage. This is true of any craft. A master woodworker produces amazing furniture because he or she is talented, not because he or she is using the best saw. A master chef makes great food because of talent, not because of stellar pots and a $10,000 stove. However, the tools are very important, which is why that master woodworker and chef often DO use top of the line tools. Better equipment in the hands of a master will produce an even better product. And in that vein, the gear a photographer carries is very important to the final image. So, assuming you have the ability to make good photographs, I argue that it is far more important to have the right gear rather than the best gear. Depending on your needs, these may be the same thing, but for most people they really aren’t. Of course, there is a need to meet the image quality needs of the shooter first and foremost, but modern interchangeable lens cameras all have very high image quality, and there are systems in a range of sizes and control schemes with image quality that can satisfy most anyone. Once you decide on what meets your needs from a quality perspective, you can go deeper in and find the gear that is truly right for you. There are two types of ‘right gear,’ and I’ll discuss both a bit. The first type of ‘right gear’ is simply choosing the right tool for the job. If you want to take pictures of birds as your main focus, you’re going to want long lenses, and, depending on your needs, you may want long and fast glass. If that’s what you’re trying to shoot, it doesn’t matter how good the Zeiss Otus 55mm f/1.4 is, it’s a paperweight for your needs. Likewise, a tilt-shift lens may be an essential piece of kit for an architectural photographer, but would hardly ever see use for most photographers. 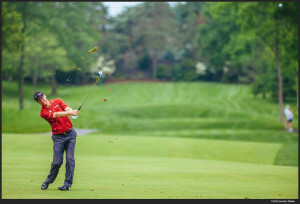 I don’t shoot a lot of sports, but I do shoot professional golf occasionally (just for myself, not for a publication). For the shot on the right, I used a full frame camera (Canon 1Ds Mark II) and a 300mm f/2.8 lens to provide reach to frame the shot the way I wanted while providing plenty of subject separation, even given the large distance between me and the golfer. This shot would not look the same with a slower lens or smaller format. (Though I have also shot golf with Micro 4/3 cameras and gotten great shots…just not the subject separation present in this shot). 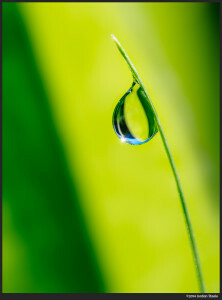 If you find you want to take closeup images, then you really will need the right gear, whether that be a dedicated macro lens, or something like extension tubes for existing lenses. In fact, for my macro shooting, I continue to use my Micro 4/3 gear, as I have yet to find a combination that is more capable for handheld macro photography than the OM-D series with the Olympus 60mm Macro (for my use…your needs may vary). The 5-axis in-body IS coupled with a 1:1 macro and a smaller sensor enables incredible closeup capabilities. I find it far easier to use this setup than my DSLR setup, which was the 1Ds Mark II with Canon 100mm f/2.8L IS Macro. If you are a street shooter, your ideal kit may be a small mirrorless camera with a pancake lens or other small prime. The added discretion may get you shots that a larger more distracting camera would disrupt. There are many prominent street shooters that grab a single fixed lens camera like the Fuji X100s or Sony RX1 for just this reason. The key here is that you need to choose gear based on what capabilities it can provide for YOUR style of shooting, not someone else’s, and definitely not based on what tested the highest on an empirical review. The second thing I tell new shooters is to pick a camera and system that feels right to them. To me, this is actually one of the most important things about choosing a camera or lens system, and it’s so often overlooked or shouted down online. You will get the best shots when you are comfortable with your gear. When it fits your needs, feels good to you in the hand, operates in a way that is logical to your mind, and, perhaps most importantly (and most subjectively) makes you want to pick it up and go out and shoot. I’ve been shooting seriously for a little over a decade, and my first ‘high end’ digital camera was, like many people, the Canon EOS Digital Rebel. This gave me access to a great lens system, good image quality (for the day), and really satisfied my needs for some time. As I got more experience, I expanded my gear to cover what I needed, and eventually wanted something a little more rugged and more responsive, and I upgraded to the Canon 30D. By this time, I was upgrading my lesser lenses to much higher-end glass (I’ve owned such lenses as the 35mm f/1.4L, 85mm f/1.2L, 135mm f/2L, 50mm f/1.2L and so on), and eventually I went the full frame route, getting a good deal on a used 1Ds Mark II. Before my big change, my main kit was the 1Ds Mark II, Sigma 15mm Fisheye, Canon 17-40L, Sigma 50mm f/1.4, Canon 100mm f/2.8L IS Macro, Canon 70-200mm f/2.8L IS II, and a few other more specialized lenses, such as the 24mm tilt shift and a manual focus Contax 28-85 f/3.3-4. At this time, the 1Ds III was brand new, so my Mark II was still a pretty high-end body, and I had some seriously good glass. For what I shot, it was darn close to being the absolute best gear I could afford to own at that time, and in many cases the best anyone could get for some of those needs. I shot with that kit for about two years, and made some great images. But I slowly started to realize that I absolutely hated carrying it. It was an amazingly capable and high quality kit, but it was very heavy and awkward to carry. Around the same time I had this realization, Micro 4/3 came about, and I picked up an Olympus E-P1 as a high quality ‘small’ option with a lens or two. After a while, I noticed that even though the E-P1 had some serious flaws, and was a rather hefty step down in image quality, I was carrying it nearly as much as my full frame kit. As I slowly added lenses to my Micro 4/3 kit, my Canon kit started to gather dust. It was eminently BETTER gear than my Micro 4/3 kit at the time, but it turns out it wasn’t the right gear for me. I was having far more fun with my photography with the smaller kit, and I found that I didn’t need super shallow depth of field. Once I got hold of lenses like the Panasonic 7-14mm and the Olympus 45mm, I had a pretty complete kit, and when the Panasonic GH2 came out with a notably better sensor than the E-P1, I was sold. I dove all-in to Micro 4/3 and sold off my Canon kit. As I look back, it was absolutely the right decision. People often ask if I miss the SLR….and to be honest, I haven’t regretted it once. I actually still have the 1Ds II and the Sigma 50mm, but I have put less than 50 frames on it in the past 4 years, and those have been for comparisons with other cameras. As technology marched on, I became a bit intrigued by some of the newer APS-C mirorrless systems, which offered similar (though not quite as drastic) size reduction from a DSLR kit, but with a little better image quality and better subject separation, and I tried a few of them out, several as reviews for this site. While the NEX-7 was a really, really good camera, I simply did not enjoy shooting with it. The limited NEX lens selection also pushed me off that route. Fuji caught my eye, though, with the X-E1 and their small, but high quality lens lineup, and I purchased an X-E1 and 35mm f/1.4. I found I really liked the tonality of the images from the Fuji, and I also really enjoyed the drawing style of the Fuji lenses. I slowly started to sell off some Micro 4/3 gear and switch over to Fuji. 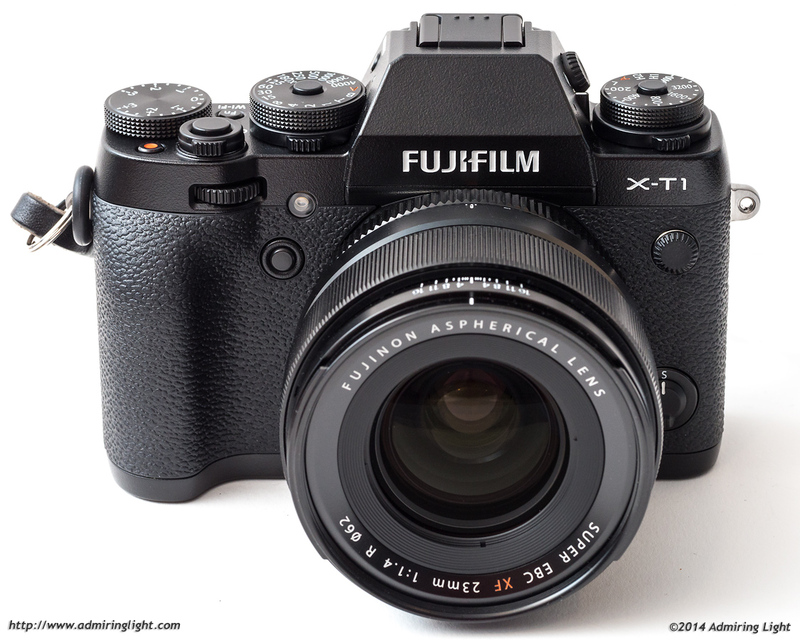 With the release of the 56mm f/1.2 and the X-T1, that switch is essentially complete. While I do enjoy the small image quality bump, that’s not really what drove the switch. Also, it’s not because Fuji is better than Micro 4/3. In many ways, a camera like the E-M1 or GH4 is still superior to the X-T1 in features, responsiveness and autofocus speed. Likewise, the Sony A7 and A7R, which have absolutely incredible image quality and decent sized lenses, are arguably better cameras than the Fujis. So why is Fuji now my main kit? The controls. Some people hate the dials and aperture rings and simplified control scheme of the Fuji cameras. For me, they are photographic simplicity personified. These cameras operate how I think, and that makes me just want to pick them up and go shoot. This combined with a stellar lens setup was all I needed. It might not be the best, but it is the right setup for my shooting. Since switching to mirrorless, I have seen a big upswing in the quality of my images and perhaps most importantly, in my enjoyment of the craft. So, when looking for your next camera or lens, evaluate not whether it’s the best gear out there, but whether it fills a need for you and if it fits how you shoot. For many of you, the best gear may very well be the right gear. For others, it’s a more nuanced decision. Whether you shoot with a DSLR and enormous supertelephotos or a Nikon 1 with three tiny lenses, you need to find the gear that meets your needs and most importantly feels right to you. Ask yourself this question: Does your gear entice you to pick it up and go out and shoot? If the answer is no, then you really should probably explore some options. Perhaps you need to shoot with something smaller. Maybe a different manufacturer has controls that are better laid out for how your think. Rent some new gear, borrow from a friend…find that camera and system that fits how you shoot. When you are connected to your gear and excited about using it, the entire craft becomes more enjoyable, and your pictures will improve. These are exactly my thoughts, as well. Why would you carry a coat in summer to go to the beach? Maybe to use it as a towel? There is no right or wrong gear “per se”, they are designed to do something, and they should be valued according to that. Does it let you achieve what you expect from it? I read a fair amount about photography and have done so for several years. This article is unique. The wisdom and honesty you bring to the web are priceless. Thanks for writing as you do. Keep up the good work! The base ISO of 200 and max shutter speed of 1/4000 kill the Fuji’s for me. I hate using ND’s and shooting f8 all day to avoid the problem doesn’t interest me either. If Fuji offered ISO 100 and 1/8000 I’d almost certainly have bought one by now. Having said that, I’m not a lover of no end stop and no marking FBW lenses either. In practice, f/2 is just fine. Remember that the Fuji ISOs are a bit overstated, so it’s closer to ISO 150 at base, and the RAW files have enough headroom that I can recover all highlight detail at f/2, and many times even at f/1.4 if there’s just a tiny bit of haze. Also, all mirrorless cameras are focus by wire, but in most cases, they have made them have very good tactile feedback. No, Fujifilm mirrorless lenses do not equate to a real manual focus lens. The fly by wire feeling is vague and ill defined. I’ll take a real manual focus lens over Fujifilm any day of the week. Did I say they equated to a real manual focus lens? And these comments are exactly the sort of irrelevant nitpicking that so many waste time on. The whole point is, you need to find what is right for you. If Fuji (or any mirrorless system) doesn’t fit your needs, then shoot with a DSLR…find what fits you and use it. I wouldn’t be surprised if the quoted ISO isn’t accurate but I would be surprised if f2 is ok for sunny day shooting, except maybe if you point your gear at a shaded scene. My own experience is that with 1/4000 I’m probably going to be limited to between f2.8 to 5.6 with a worst case scenario of f7+ if the scene is very bright and ISO 100 isn’t available. Pulling back highlights is one option but it’s desperation measures IMVHO but then again you see so many shots with blown highlights these days and people don’t seem to care so maybe I should relax a bit. Anyway, I’ve noted what you said and if I get the opportunity to try before I buy I may well give Fuji a go but the combination of 1/4000 + a (slightly) higher base ISO mean that I’m not willing to buy without trying first. Unfortunately I have to buy most of my camera gear on line and unseen… so thanks for the feedback. I agree with the post and find it refreshing that you have cut through the clutter. Very well thought out and well written thoughts. Thanks. There is no need to point out why something does not work. Focus on what does work. I’m travailing right now with the xt-1, 14, 27 and 18-55 lenses a small tripod, two filters and four spear batteries. For me, it’s a near perfect kit. The 27 on the xt-1 makes for a really small set up and the other two lenses add a great deal of versatility. 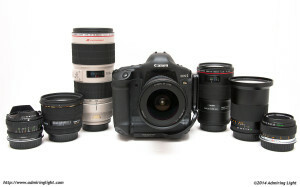 After running through canon dslr gear and 3 micro 4/3 cameras it’s really nice to have found the kit that works – for me. I’ve switched cameras so many times over the past 4 years I can’t keep track. Thanks for putting these thoughts to paper. I’m glad you found the system that works for you. Maybe one day I will too. No regrets for the past,Olympus is really a complete system. Image quality of the Olympus with is beautiful with gorgeous color. Thanks for leading me to this article. Upon deciding to go digital almost 15 years ago, I went Olympus. For business/professional reasons, I had to commit to Canon digital–couldn’t show up for a pro shoot without C or N, after all –and over time I found myself lugging around an awful load of equipment, whatever the occasion. Now that I’m free of the need to show up with “the best” I too have gone back to what I require for my personal photography. I just sold off my Canon gear–the 1DS went last–and gone back to Olympus. Their micro four thirds gear fits my needs and, with the proper adapters, I’ve kept a few Canon items and bought again some of the great four thirds glass which I’ve always loved about Olympus as well as some terrific new lenses in the MZuiko line–the first 2.8 pro and the 60mm macro are absolutely wonderful in my humble opinion. I’m a retired Frenchie in love with photography for about half of a century… 😉 or 🙁 as you want! I’m always pleased to read such posts. Each gear is about technically OK to day, so right is actually better than best, really. One can read about pros who work with OM-1 to day, for example. I have seen fantastic images took with a entry APS. Or less. My first digital gear was a Canon G3 (2003), beautiful colors, precise images. Digital photography rebirthed my joy to make images. Then I went to Panny G1 (2008), because I felt mirrorless is the future. I still think so. If one does’nt print a meter large or so, 16 Mpx and 4/3 are more than enough. For making slide shows, too, obviously. The colors were a little pissy, but so what. A year or so ago, I bought a Oly E-M5. Kit lens, 45mm 1.8, 9-18 and the Panny 50-200mm. That’s it. As said elsewhere, beautiful color rendering. I’ll probably buy a 20 or 25 mm in the future. Then, one day, I’ll replace the body with the OM-1 or it’s successor. Anyway thanks again for your post. I recently posted here in an old thread about “Full Frame Equivalence”, but I could have written here also. I just want to say that I agree with you that we should look for the right quality not the best! If you find the gear that delivers the quality and performance for your type of photography stop reading reviews and concentrate on the quality of your images and try to develop your style and vision. All versions of GAS should be avoided, I think so at least. 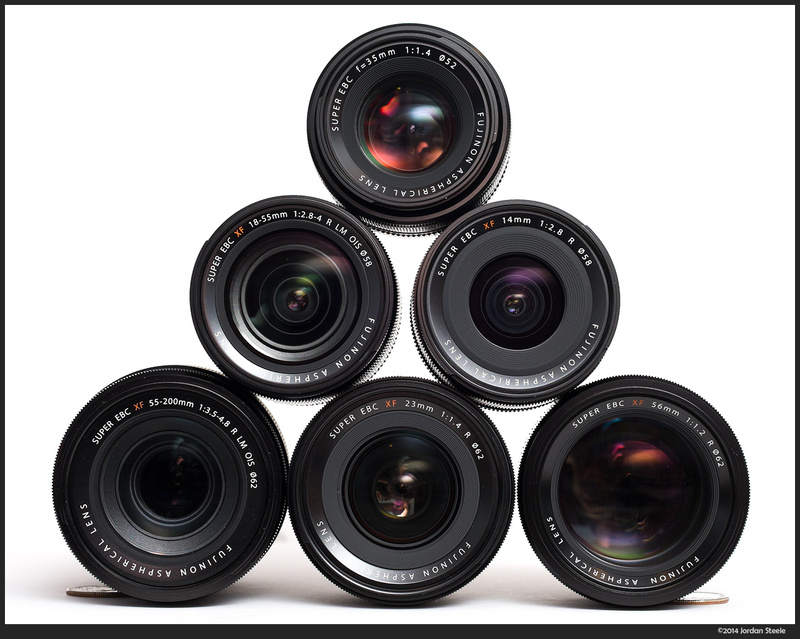 Many came systems are now “good enough” for most photographers. Jordan really appreciate all the posting you do @ sites like Fred Miranda & here. Your a great contributor and help alot of people in the process. I’m basically new too digital and end of this month will be 56 years old. Live in way to Sunny Florida so EVF is a must. The great performer Jeff Dunham has famous character Walter. I kind of get ‘Walter’ curmudgeon faced when taking pictures ……. at arm’s length ! Another thing that would make me have Walter tendencies is a complicated, non-intuitive menu system. Hunter greatly appreciates simplicity. I purchased my first ‘too be adapted’ film era lens couple months ago : the Leica designed Minolta 35-70mm f3.5 macro. Saw some work by Phillip Reeves (another great contributor) & others that really shined with this lens. I like rangefinder style cameras, so dslr body is out. If i had even decently deep pockets I’d purchase a Leica T. I just love the Leica color output. Personally i think it is the ultimate. Also, I don’t think i could adapt my minolta too that body. That’s another thing i hear time after time in forums — is the simplicity of there menu system and user experience. I’ve long been interested in Samsung also and saw some great images you took with the new NX1. The lenses are so affordable. I was very disappointed in the button layout of the NX500. Ridiculous ….. how is somebody supposed too hold the camera without hitting all those buttons. Where does my thumb go? Too my eyes the much lauded Ricoh GR is in the same boat. Might have good menu system but all the buttons are on right side of LCD. Leica, Fuji, and at least the Sony A6000 have much better controls layout cause they are separated. So long story short …. there’s actually a camera store in Orlando that i can go and hold the X-E2. It was alledged that Samsung would produce a NX500 body with built in EVF. Perhaps by PhotoPlus there will be some concrete news. I saw an image of yours couple days ago with the A6000. Jordan you described it as a snapshot —- hope i can take snapshots like that soon !!!! It was absolutely gorgeous BW of ‘two foot’ rapid in a river scene. I looked at alot of A6000 color images and previous ones by Phillip Reeves (A7’s) and the color rendering just doesn’t do it for me. With the adapted lens ….. focus peaking quality is paramount. So what is the best focus peaking you have experienced and most user friendly intuitive camera that was a pleasure too use time again. Appreciate any enlightenment you send my way ! Just found your site, and this terrific post. Totally agree. I have tried many, many cameras. Today, it is almost impossible to buy a camera that delivers bad images. Sony, Nikon, Canon, Olympus, Leica, Fuji have all been tired. Just got the XT-1 a few weeks ago. Absolutely love it. It falls short on so many levels compared to Sony, Nikon, Canon, Olympus – speed is my biggest issue. Yet, it is still the camera I reach for most often. Why? It fits the way I shoot. Maybe it’s because I grew up with 35mm film and dials on the lens and body. The S/N/C/O cameras are terrific… but they feel like computers. Too much electronics. The Leica is awesome… but lacks modern technological conveniences. FOR ME – the XT-1 strikes the right balance. Good luck with Fuji! One day they will stop production without notice. It already happened in 1985, when they ceased the production of the X-Fujica SLR system. The cameras were nice (remember the AX5? ), the lenses were excellent and their Fujichrome slide films were world-class. At that time, the Fujica AX-5 had the right controls and the right features that no other camera could match.